Astronomers have identified a remarkable star, at least 50 times more massive than the Sun, which simply will not die. 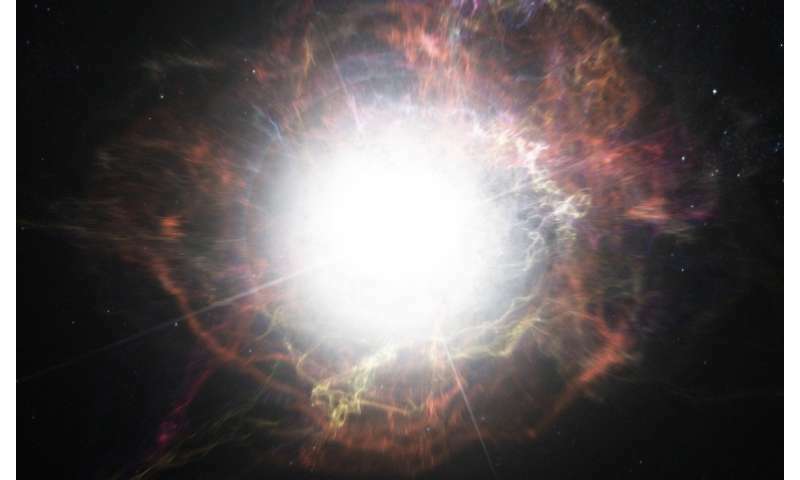 When massive stars come to the end of their life cycles, their final moments are usually marked by catastrophic and destructive explosions known as supernovae. Scientists have observed thousands of these titanic events, and in every case previously seen, they resulted in the death of the star. However, an international team of researchers has discovered a star that exploded multiple times over a period of 50 years, a finding that challenges everything we know about the death of stars. The exceptional supernova, known as iPTF14hls, was first spotted by astronomers in 2014, although at first there appeared to be nothing out of the ordinary about it. But several months later, researchers at the Los Cumbres Observatory observed something they had never seen before – the supernova was becoming brighter after the initial explosion had faded. Normally, supernovae reach peak brightness before fading over around 100 days. But iPTF14hls became brighter and dimmer five times over the course of two years. 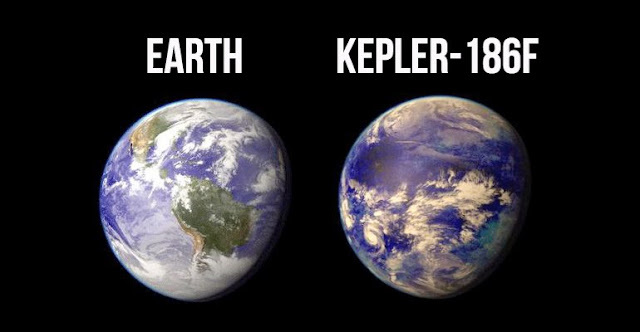 Furthermore, when astronomers subsequently examined archival data they were astonished to find evidence to suggest that the star had actually exploded in 1954 and survived. "This supernova breaks everything we thought we knew about how they work. It's the biggest puzzle I've encountered in almost a decade of studying stellar explosions," said Iair Arcavi, lead author of the study from the of University of California Santa Barbara and Las Cumbres Observatory. Supernova iPTF14hls may the first example of a so-called "pulsational pair instability supernova". This occurs when massive stars become so hot in their cores that energy is converted into antimatter, causing an explosion that blows off the outer layers while leaving the core intact. 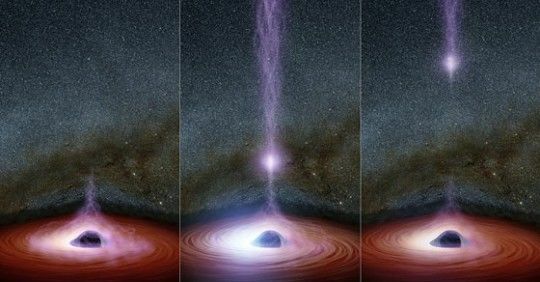 This process can repeat over decades before the star explodes one final time, collapsing in on itself and turning into a black hole. However, there is also the chance that this supernova may be something new entirely. After all, the "pulsational pair" theory does not fully explain all the data researchers have gathered for the event. Andy Howell, leader of the Las Cumbres supernova group and co-author of the study, added: "These explosions were only expected to be seen in the early universe and should be extinct today. This is like finding a dinosaur still alive today. If you found one, you would question whether it truly was a dinosaur." Astronomers at Las Cumbres continue to monitor iPTF14hls, which is still bright three years after being discovered.